In this 21st Century cancer has become a $200 billion business. Recently Dr. Bill Deagle stated on a radio talk show that every cancer patient who is caught in the failing paradigm of "cancer consciousness" is worth $1.3 million to the cancer industry. The statistics re: the direct effects of failed surgery, and potential, permanent nerve damage from both radiation and chemotherapy as well as future, secondary cancers paint a grim picture for these conventional and questionable treatments. Too many people are being poisoned and maimed and even killed from the direct effects of surgery, radiation and chemotherapy - and not from the cancer. The cancer industry seems utterly indifferent to the consequences of their dubious actions. Any alternative, natural treatments for cancer that are less harmful than the accepted conventional treatments are worthy of further research and study - this includes black salve. It is unfortunate that the surgery, radiation and expensive chemotherapy drugs costing tens of thousands of dollars are heavily subsidized by the government and covered by government and/or private insurance companies while there is absolutely no insurance coverage for selected, natural treatments or therapies. This is proof that pharmaceutical corporations control both governments (politicians) and the “sickness and disease” industry - of which the cancer industry is a significant element. It is recommended that when the doctor gives any individual a cancer diagnosis, that individual is urged to take some time to research the various alternative, natural treatments such as black salve (and other therapies) that are healing cancer. Do not be coerced into being “cut, burned or poisoned” by blindly accepting one doctor’s urgent consultation. Our bodies don’t grow these cancer cells in a short time, so it won’t make much difference if one delays a treatment decision for a couple of weeks. From my own personal experience, the oncologists and radiologists too often coerce the cancer patient to make a decision before s/he has had an opportunity to fully understand all of the ramifications of the surgery, chemotherapy or radiation treatment. Considering what we now know about that the “cancer industry” is driven by “profit business” for the pharmaceutical cartel and their investors, indeed, it is highly recommended that anyone diagnosed with cancer, take some time to investigate various alternative and natural treatments. In these modern times - going as far back as 1980 - the Two Feathers Healing Formula was the first and only “black salve” with its unique and special formula available for modern consumers. Now in this 21st Century, other brands of “black salve” have surfaced - some of which which cannot be consumed internally, because of the choices of ingredients. Indeed, research indicates that some black salve recipes were used as far back as the 12th century to treat tumors. When black salve is applied to a malignant tumor topically it causes abnormal cells to necrose or die. Then the body pushes out the “eschar” - (the Black Salve with the dead cancer cells attached) and the remaining cavity eventually heals over. More and more people who are being diagnosed with cancer are choosing an “escharotic” like black salve to heal skin cancers and internal cancers. When consumed, the Two Feathers Healing Formula seeks and finds any tumor by traveling in (a) the bloodstream and (b) the lymph system. When it attacks the cancer cells it takes the form of inflammation and there can be redness, heat, white pus and some pain. It is the white blood cells that target the cancer cells until the body rejects the dead tumor. The topical application (10%) supports the internal consumption (90%). Some black salves can only be used topically and some black salves can be consumed internally also. The Two Feathers Healing Formula (black salve) that I have been using can be consumed internally as well as used topically. The historical story of using “black salve” to heal malignant internal cancers and skin cancers with a completely herbal remedy is definitely a story that needs telling in this 21st Century. I learned about Black Salve from a tip a SDI (Self Directed Income) entrepreneur gave me in early June 2015. He told me about the Two Feathers Healing Formula from this website: http://www.healingformula.net. Two Feathers Healing Formula is a unique American Indian herbal compound that has reached through time, over several hundred years, to optimally serve the needs of an ailing civilization in this 21st Century. I followed the lead that my friend gave me and I voluntarily embarked upon a fascinating journey which I now refer to as My Natural Healing Journey - a revelatory journey that exposes the suppression of truth by the conventional, medical establishment about natural ways to heal cancer and other chronic diseases. 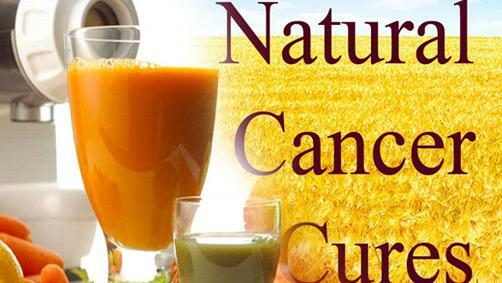 I am experiencing the simple fact that herbs can destroy malignant cancer cells without the direct side effects that are so common with the conventional cancer treatments. Although, there are various brands of black salve advertised on the internet, I can only speak about the Two Feathers Healing Formula (black salve) as that is the only one that I am familiar with. The Two Feathers Healing Formula is offered as nutrient systematic and skin care aids, not medicine and it comes with three pages of detailed information about the protocol for (a) internal consumption and (b) topical application. The Two Feathers Healing Formula not only heals internal cancers and skin cancer but is also noted for healing: tumors, diabetes, chronic fatigue syndrome, allergies, viral diseases, yeast and fungal infections, parasites, lupus, gum disease, moles, warts, liver detox and aids related symptoms and much more. It has been written that the Two Feathers Healing Formula is like a time capsule sent to the modern world from a distant past when knowledge about “health and wellness” was more of the spirit than of the intellect. The ingredients of the Two Feathers Healing Formula as listed on the container are as follows: “calcium phosphate, zinc, potassium, magnesium, sodium plus eleven trace minerals in a blend of synergistic herbs - with absolutely NO artificial additives.” The producers of the Two Feathers Healing Formula do not disclose the exact proportions of the selected, botanical herbs, nor the precise method of preparation for this special formula. Traditionally, the best results with the Two Feathers Healing Formula have been experienced by consuming 800 milligrams of the compound, followed by drinking an 8 ounce glass of pure spring water, either once, twice, three or four times a day depending on one’s body weight and the severity of the cancer diagnosis. The 800 milligrams is best measured by filling the large size of an empty vegetarian capsule - which can be purchased at any health food store. When filling the capsules with the Two Feathers Healing Formula it is essential to use a toothpick or plastic utensil to handle the product. I use a toothpick to loosen the black salve so that it is easier to pack it into the empty capsules and I use the wooden end of a match stick to pack the black salve into the capsule. And never refrigerate the Two Feathers Healing Formula. It does have a long shelf life when kept sealed, unopened at room temperature. In fact, if not opened, the jar of Two Feathers Healing Formula will last for five years as it is packed in a brown jar made from glass that has the same frequency as amethyst crystals and also the covering lid is made from a specialized plastic. There is a specific protocol for the internal consumption of the Two Feathers Healing Formula. It is consumed daily for fourteen days, then one stops the oral consumption for two days. This cycle can be repeated for a minimum of two more cycles, or more if needed. It is important to know that 90% of the healing process takes place inside the body, with the topical application being responsible for the other 10% of the healing by drawing out the dead and dying toxins. The first topical application occurs after seven days of internal consumption for most of the body. However, if the “abnormality” is on the face or the woman’s breast it is prudent to be more careful for any cancer diagnosis in these areas, and wait for fourteen days before applying the Two Feathers Healing Formula topically. When applying the Two Feathers Healing Formula topically, first the skin is moistened with pure spring water, then the compound is smeared over the wound in total no larger than a dime and no thicker than a dime. The Two Feathers Healing Formula is then left on the skin until the compound falls off. These fallen off pieces are referred to as ‘eschar” - composed of the Black Salve and the dead and dying cancer cells are attached. If one’s body is too acidic, one may feel a slight queasiness in the stomach area for an hour or so after consuming the Two Feathers Healing Formula. If one senses a feeling of queasiness, it is recommended to drink a herbal tea such as mint or ginger or one can drink aloe vera juice. And, as with any good internal cleanse, a strong, friendly bacteria such as “Garden of Life” Primal Defense Ultra can be ingested, before meals to revitalize the intestinal tract for about a three month period. Robert Roy, who distributes the Two Feathers Healing Formula recommends that interested persons call the office at 1-775-324-4889 for guidance to speak to an experienced and knowledgeable person about the proper application of the Two Feathers Healing Formula. 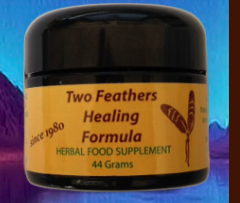 NOTE: The distributors and producers of the Two Feathers Healing Formula do NOT make any claims for the effectiveness of the Two Feathers Healing Formula product, nor do they recommend any particular usage. The choice of process used in the various forms of application or ingestion of the Two Feathers Healing Formula is the sole responsibility of the customer. In some cases, scaring may occur with topical use and neither the distributor nor the manufacturer can be responsible, as any outcome will vary with each individual and the method of application. The distributors and producers of the Two Feathers Healing Formula encourage people to seek a Holistic Physician for consultation and diagnostic determination. NOTE: Readers are advised that this article is based on my own research and I do not expect anyone to blindly follow my footsteps. I do hope I have motivated readers to do their own self-imposed research and then make their own decisions. 4. My Referrer URL for the WeShare Crowdfunding opportunity where others are invited to create a "Project" and likewise make a crowdfunding page. doctor could not completely cut out what he called an "inclusion cyst." him if he could guarantee to completely cut out the "inclusion cyst"
Initially, I was briefly terrified and despondent BUT only for a very brief time when the both the radiologist and oncologist at the Ottawa Cancer Clinic told me that unless I had 35 visits for radiation - that’s 5 days a week for 7 weeks - my chances of survival beyond 3-6 months was unlikely. When I asked about the side effects of radiation, I was told that it would severely damage my salivary glands on the right side of my face, and that the nerves to my right eye would still be at risk (and the plastic surgeon had already cut the nerve that permits the right eye to wink and blink), as well as the nerves to the right ear are at risk, and of course, the location of the “abnormality” is close to my brain. Photo Taken on June 12, 2015 - just after the 1st topical application of Black Salve. The "abnormality" is covered with Black Salve - the thickness of a dime. When I asked the radiologist if radiation causes “secondary cancers” a few years later, he admitted that indeed, radiation can cause secondary cancers at a future date. After the initial cancer diagnosis and follow-up consultations, I declined any further conventional treatments with radiation and/or chemotherapy. I brandished up my personal faith, courage. self-assuredness and made a commitment to myself to pursue a course of self-imposed research about natural healing therapies/treatments that would facilitate the healing process. I shifted my thoughts away from what I now refer to as “cancer consciousness” and established in myself a determination of steel, a belief in miracles and a non-believable reality that indeed, I could take charge and heal myself by becoming my own doctor. I hunted and found an abundance of quality resources to facilitate the natural healing resources and as of this last week of June 2015, I am continuing my healing processes and I am happy and healthy. In a future update, I will describe in more detail all of the treatments and therapies that I am using to heal - what I refer to now as an “abnormality” on the right side on my face. in conversations, I don’t even use the “c” word when I am referring to the diagnosis. The unique product that I am now using to complete the healing process is Two Feathers Black Salve from this website: http://www.healingformula.net in Reno, Nevada. I have been consuming it since June 12th and it has been applied topically since June 19th, 2015. The conventional, (but delusional) medical doctors (radiologists and oncologists) are still believing that they are the only medical authorities who know what to do when one is gifted with a cancer diagnosis. With all due respect, they know absolutely nothing about nutrition and numerous, proven alternative therapies/treatments that are healing various cancers. When I asked the oncologist if he would give me a prescription for cannabis oil he answered that there was not enough evidence to support that it can heal cancers. My response was that it is time to start collecting the evidence, because many people are healing cancer with cannabis oil. They don't and won't collect the evidence because the truth is that the Cancer Industry has become "Big Business." It is my humble observation that the time is NOW to swing the pendulum to the other side where people are learning how to heal themselves with natural treatments and therapies. Indeed, the paradigm of treating sickness and disease is shifting towards achieving and maintaining optimal health and wellness by individuals who are intent on taking their power back. pulled off by the Black Salve. My Natural Healing Journey is progressing as an incredible, learning and healing experience and now it is time to share the details as well as the various resources and therapies that I have been following every day since I began My Natural Healing Journey. I must admit that this Natural Healing Journey is costly and it is lots of work. It is costly because when one decides to heal oneself naturally, there is no government or insurance coverage and all products and services have to be paid for with cash. As of this last week of June 2015, I have already spent $6500+ for the products and services that are required to facilitate the healing processes. I am so grateful to three different natural healing therapists here in Ottawa who invited me to come back and use their services for FREE, so that they could help to see me through this healing journey. I had stopped going to them because I had maxed out my credit card and I had told them that I was broke and I could not afford to pay for their services. It is now my conviction that if I can heal myself of this aggressive skin cancer diagnosis, then anyone else can do likewise. If more people knew more about natural treatments and therapies they would make better choices and live longer. Photo shows how I keep the "abnomality"
In July 2015, a Private Club referred to as Healing Hunt that promotes a cancer-free community will be birthed. Healing Hunt is an awakened and aware group of health seekers and finders - we seek, find and share solutions that will guarantee optimal health and wellness for those who choose to participate. Healing Hunt Ottawa is destined to become the go-to place for people: (a) who are recognized as competent, natural, health practitioners (b) who are ready and willing to be re-educated on how to avoid cancer (c) who are already diagnosed with cancer - preferably in its early stages and who are ready and willing to explore the modalities of self-healing with natural treatments or therapies and (d) who have healed themselves of any cancer by relying on natural treatments or therapies and (e) who are seeking resources to achieve and maintain optimal health and wellness. If you live within driving distance of Ottawa, Ontario, Canada and you are invited to our inaugural event on Friday, July 10, 2015 from 6:30 PM until 9:00 PM. You are invited to send an email to: tom@cyberclass.net with “Healing Hunt Ottawa” in the Subject line and I will forward the time and location of this inaugural event. NOTE: Please share this link far and wide and help it to go viral! There's no question that building your business is time consuming. But, regardless of how busy you are, there are some really good reasons to maintain a healthy lifestyle. I’ve found that when I have a good balance between my work life, family and my health and wellness, I’m more successful. As my husband and I became parents, we also made sure to teach our kids how to eat as healthy as possible and we enrolled them in sports from an early age. Our daughter became a competitive swimmer earning herself an athletic scholarship and our son was a top football player on his team. 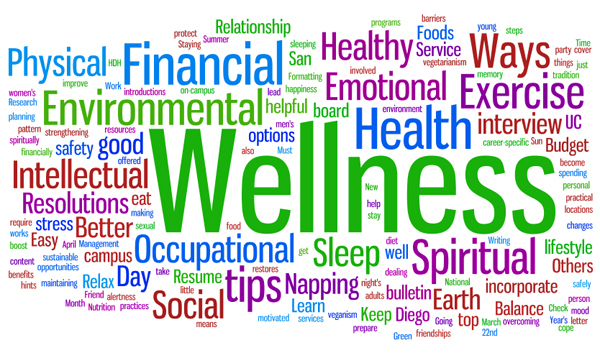 All this to say, that we practice health, wellness, exercise and positive thinking as part of our daily lives. 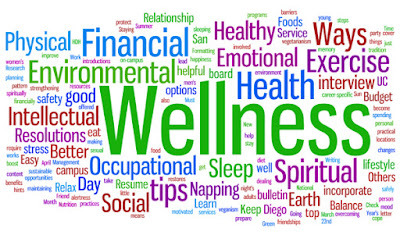 Achieving optimal health and wellness as a business owner is easier than you think. Whether you are building your home-based business or are a corporate leader, these tips will help you get there. This one seems like a no-brainer, but it’s one that brings a lot of benefits. A study in Population Health Management found that employees who eat unhealthily were 66 percent more likely to experience a loss of productivity. One of the easiest ways to maintain a healthy diet is to plan ahead. Take some time each week to plan out some healthy, balanced meals and be sure to have what you need on hand, so eating healthy will be easy. Also consider packing a healthy lunch and snacks for work, so fast food isn’t a temptation. It seems counterintuitive, but exercising more can actually give you the energy you need to stay productive. That same study from Population Health Management also found that those who only exercised rarely have a 50 percent increased risk of experiencing low productivity. There are so many options for getting exercise, but the most important thing is that it’s enjoyable to you. Whether you are the type to hit the gym every day, go for a morning run or to head out for a relaxing walk or bike ride during the day, get out and get moving. In the midst of a busy day, the last thing you think of is taking a break. But, research shows that taking breaks can actually help you be more productive. The study looked into how taking breaks has an impact on the ability people have to remember things and focus on a task. Most participants became less efficient as the 50-minute task continued, but the group that took two breaks during the task didn’t experience any decrease in productivity. In other words, taking short breaks while working will actually help you stay focused in the long run. One of the best things about building your own business is that you have more freedom over your own time. Take advantage of this and take breaks throughout your day to keep your mind focused and stay productive. Step outside for a few minutes, run an errand or even just open a good book for a quick break. Unfortunately, work is a common source of stress, and this is especially true if you are building a new business. The American Psychological Association found that work-induced stress leads to irritability, anxiety and lack of energy. But, that’s not all. Respondents also said they suffered from fatigue and headaches while stressed, which makes it hard to be effective at work. These issues can easily get in the way of your success, holding you and your entire team back. But, there are solutions. Eating healthy, exercising and taking breaks can help you reduce stress. So start planning ahead and delegating tasks. Remember, the most successful businesses are those that have a strategic plan and teams that can work together, since no leader can do it all. I’ve found that as I take the time to maintain my health and wellness, even when I’m busy, I’ve been much more successful. All of these tips can help you do the same, and if you’re interested in finding out how to set goals that will help you maintain a positive balance between building your business and staying healthy - contact me. NOTE: I concur with Deborah MacDonald that achieving and maintaining optimal health and wellness is of utmost importance while building your business. I have been inactive in my business and research pursuits for the past six months. as I was diagnosed with an aggressive skin cancer labelled "parotid squamous cell carcinoma." I have declined conventional "poison" therapies and I intend to heal myself naturally. Though it has been a costly journey but an amazing experience of meeting so many competent, alternative, health practitioners. I am planning an informal networking event to honour and promote all of the competent, alternative health practitioners - so that they get to know of each others' skills, talents and resources and they will also get to meet like-minded people (possible future clients) who are in pursuit of optimal health and wellness. Anyone who lives within driving distance of Ottawa, Ontario, Canada and wishes to attend - please forward and email to: tom@cyberclass.net with "Health Practitioner Event" in the Subject line and I will forward details - of when and where the event will be held. 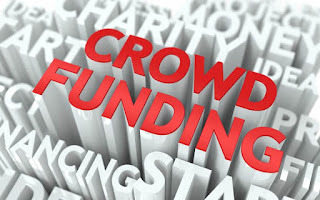 The topic of Crowdfunding is gaining in popularity as the economic paradigm shifts and the idea of twinning the successful SDI (Self Directed Income) industry with the popular Crowdfunding movement is timely indeed. Yes, economic waves are rippling through the Crowdfunding community since the SDI industry has begun launching private, crowdfunding portals that can be easily accessed and activated by any individual with a cause or project. As we progress in 2015, the most common entry level for any individual SDI entrepreneur or non-profit organization t o enrol and participate with their own Crowdfunding website is approximately a one time donation of $200.00 (US Funds ). There is speculation that Crowdfunding will raise $20+ billion - globally - in 2015 - based on the statistical trends of the past three years. Estimates from a variety of reputable sources predict that the annual market potential of this unique, crowdfunding movement could reach as high as $300 Billion by 2025. The SDI (Self Directed Income) industry is otherwise referred to as MLM (Multi-Level Marketing), Network Marketing , Referral Marketing etc. The SDI industry has a proven track record after the Amway Corporation paved the way as the pioneer leader implementing this unique, sales and marketing model, during the 20th Century. Crowdfunding is defined as the practice of inviting individuals to support another individual’s project or cause by gifting/donating small amounts of money. The key to successful crowdfunding is using the internet and the tools of the SDI industry to access large numbers of people by the click of a mouse. 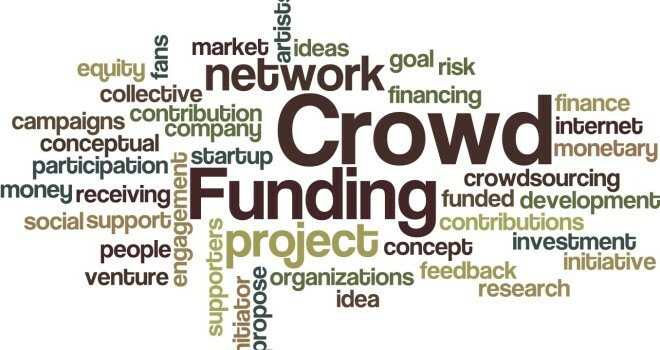 The Crowdfunding concept pernits others to help you raise funds for your projects/causes or dreams. As of mid-2015, there are an abundance of Crowdfunding platforms (600+) functioning on the internet, globally - whereby tens of thousands of individuals from all over the world are seeking funds for projects or causes. Within the infrastructure of the SDI industry, the idea is to initially support the project or cause of your enroller - thereby embracing the true spirit of co-operation. Then, others who enrol will support your project or cause. SDI.Crowdfunding initiatives can be local with a global vision to eventually usher in a usuryfree economic paradigm that will eventually lead to a New Age of UsuryFree Living where people experience optimal Health and Wellness everywhere on planet earth. What would you do - if you had access to the money to do it? Would you make a $200. donation to another individual's project/cause and then qualify to get your own platform to solicit "crowdfunding?" NOTE: Readers - please forward links to any successful and honourable SDi opportunities whereby the Crowdfunding concept is working for all who choose to participate. 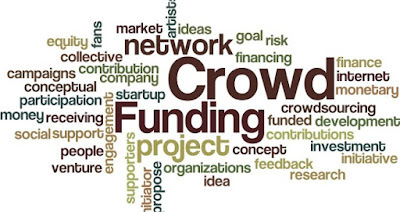 We are exploring various SDI opportunities whereby “Crowdfunding” is the popular product/service being marketed to determine which one(s) are optimally functioning with full integrity. NOTE: This video clip "What Is Crowdfunding?" is about "Private Crowdfunding" and how one SDI company markets the concept of receiving "Private Donations."